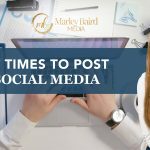 If you want to succeed online with social media marketing, you don’t just randomly post your content on Facebook or Instagram and hope for the best. You create a campaign. Similar to how ad agencies create commercials that air on televisions and radio networks, social media campaigns are planned and integrated efforts to reach and communicate to your audience. Initially social media was an add on to support large campaigns, but with our attention being redirected to smaller screens, brands and businesses are turning to create social media only campaigns. According to social media marketer, more than 90% of marketers have stated that social media only campaigns have increased brand awareness. So, how do we manage to create a smart social media campaign without running into a few hiccups and problems along the way? Today, we’re going to talk about how you can plan your campaigns and avoid commonly-made mistakes by different marketers. But before you begin, I advise you to start performing a social media audit. This will give you an idea of how wide and deep your social media presence is. If you want to do a social media audit of your own, but don’t know where to start, check out my free social media audit template. If you’ve already done this, let’s get moving. Here are the different elements of a smart and comprehensive social media campaign. The audience. Contrary to popular belief, just spreading your message to a broad audience is not effective. Social media marketing is more effective when you specifically target your audience. In this case, you should segment your audiences depending on each campaign. No campaign message will appeal to all types of audiences. Tailor fit your message to your intended target market. To begin your campaign, first identify who you want to talk to and how much you intend to invest to talk to them. The message. Your message reflects the ultimate goal of your campaign. Clearly reflect the core of your campaigns, so that you’ll know how each post, tweet, photo, or video weaves seamlessly to talk to your target group. The date. Planning when a campaign launches is an important factor in hitting your key consumption period. This is the sweet spot of the year, where your product or brand is highly relevant and can deliver the highest sales. In short, plot your campaigns into your company or product lifespan. The platform. Where you’re active plays a big role in planning for your campaigns. Focusing on one or two platforms allows you to design and create material that is specific to the channel you chose. Using more platforms pays a lot in terms of reach and frequency, but it can require more money and thought. To be smarter, look at where your audience is most present and then build up your footprint there. The reason. What’s your why? Don’t just create messages and post them at your leisure. They should be relevant and valuable to your audience. The key is delivering your consumers reason to believe in your campaign message. Drive this relevance by identifying and answering the question of why your audience should care about you. At the same time, plan to how you’ll send that reason out. Smart campaigns are consistent in delivering their messages through effective use of content. Planning a smart campaign encompasses the basics of knowing the who, what, when, where, and how. 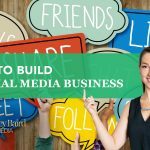 Implement these five elements into creating your social media campaigns and you’ll be set up for a smart and comprehensive campaign. And take advantage of my free social media audit that you can download for free.